Conferences & Talks « Yplatform | global insights – local impact | Connect. Empower. Inspire. In this round-table discussion, we gather high-profile decision makers at leading Vietnamese corporations to talk about their ambitions to raise their businesses to newer heights – bringing made-in-Vietnam products, services and technologies to conquer foreign shores. Amidst increasing concerns and pessimism about economic downturn and turmoil in the world as well as in Vietnam with news about thousands of companies going bankrupted, this discussion will bring the audience to a new perspective where difficult times become golden opportunities and healthy organizations with a right focus still shine while others with weaker foundations wither. At the same time, we also bring to the table perspectives from youth, who are burnt with energy and ideas to walk this challenging yet extremely exciting path with daring Vietnamese businesses. 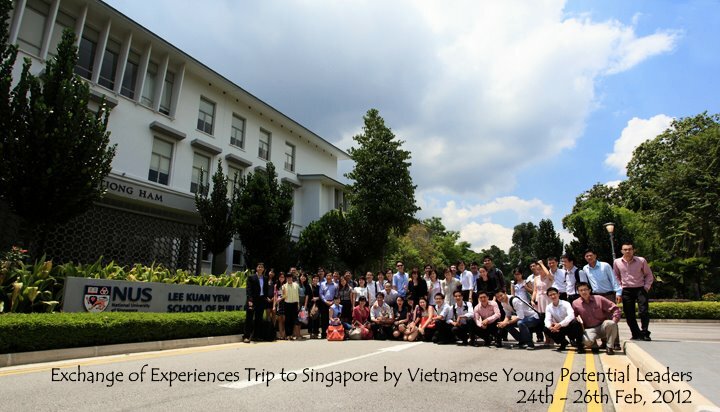 Singapore and its implications for future Vietnamese business leaders (Feb 2012)In February 2012, Yplatform organized a talk and idea exchange session to welcome the 2nd batch of the rigorous Institute of Potential Leaders (IPL) program – aimed to nurture the next generation of business leaders for Vietnam – to Singapore for a study trip. 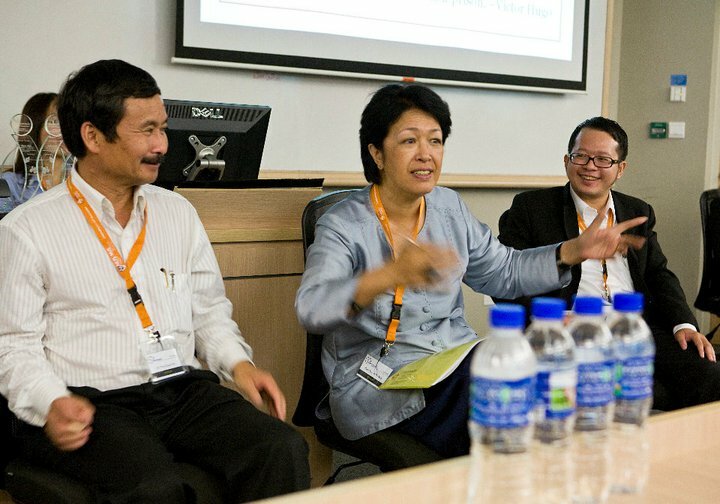 This not-for-profit program was founded by dedicated Vietnamese entrepreneurs, intellectuals and PACE Institute of Directors. 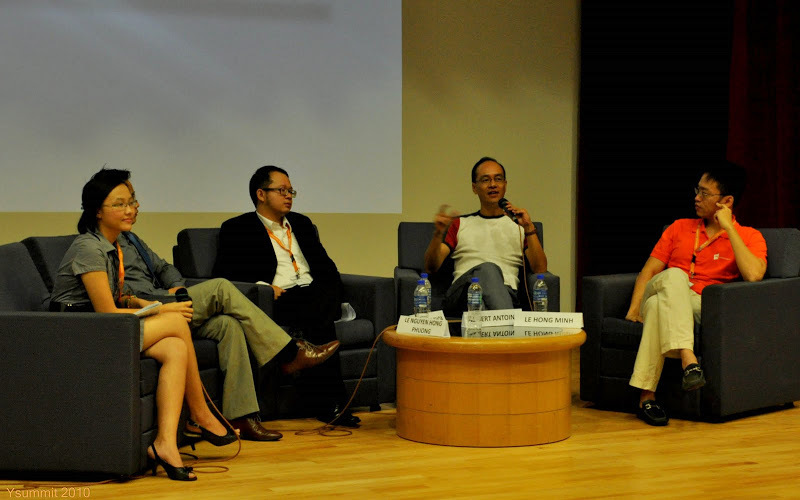 Part 1: The Singapore story – sharing by each speaker in their own field of expertise on key success factors of Singapore and the challenges Singaporean have faced in realizing their visions. 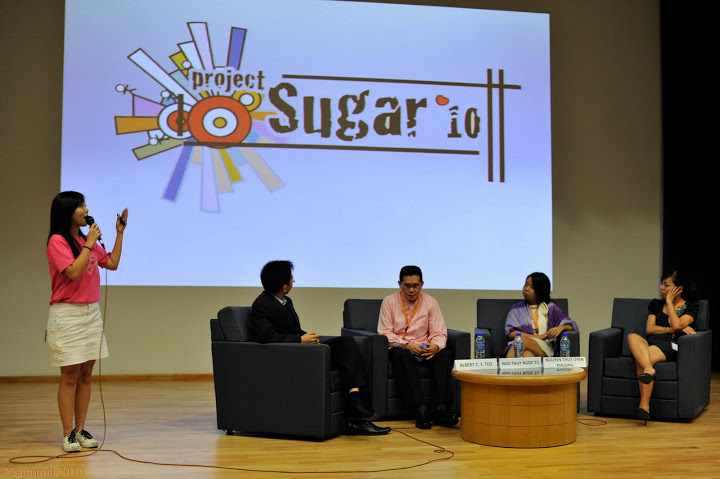 Part 2: Idea exchange session – sharing from the audience who are participants of IPL 2, students, working professionals & entrepreneurs in Singapore on their thoughts and inspiration toward a prosperous and sustainable future for Vietnam. What are the opportunities to foster more collaboration and exchange of ideas among the aforementioned communities to make things happen? This is meant to be an interactive session to spark new ideas and collaborative opportunities among the speakers as well as participants. – Engage Vietnamese businesses and young talents residing in both Vietnam and overseas in an active platform that fosters exchanges of resources, ideas and expertise. – Enhance Vietnamese business competitiveness on their way to emerge on the global market by leveraging on a diverse pool of talents around the world. – Enable and empower young talents both local and overseas to challenge themselves and sharpen their business acumen while contributing their parts to the development of Vietnam economy. – Discussion with Mdm. Ton Nu Thi Ninh and Mdm. Pham Chi Lan on existing models of Vietnamese expatriates networks. – Youth perspectives from the experience of Mr. Pham Anh Khoa and Mr. Dang Tan Duc in building youth organizations. – Introduction to Yplatform and where we, YOUTHS, can fit in. Open floor discussions with speakers and audience. 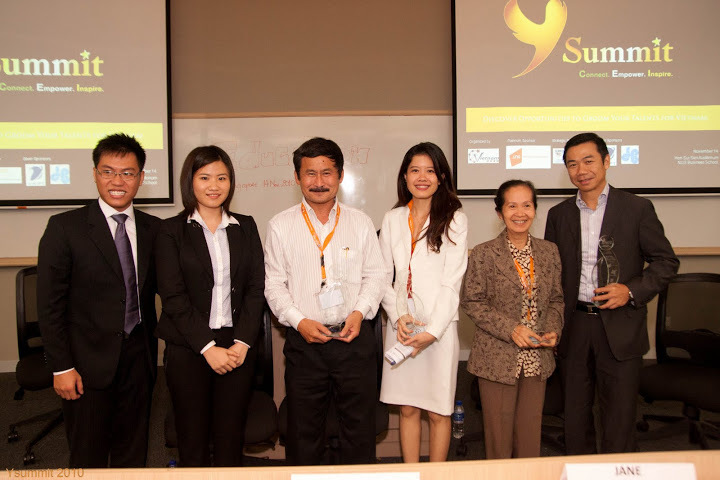 – Get experiences in starting up in Vietnam such as how to deal with Vietnamese regulations, how to raise funds, etc. – Inspire audience through speakers’ personal stories and experience. – Provide tangible and practical opportunities and resources to start your own initiative. – Provide insights, clarify misconceptions that many have on youth initiatives and community development projects through first-hand information from our speakers. Introduction about YsummitYsummit connects Vietnamese students and professionals in a discussion on how youths can be more involved in Vietnam’s development. It serves to inaugurate a platform (Yplatform) for Vietnamese youths to exchange ideas and explore practical opportunities to translate their talents into meaningful impacts for Vietnam.The theme for Ysummit 2010 is “Discover Opportunities to Groom Your Talents for Vietnam”. 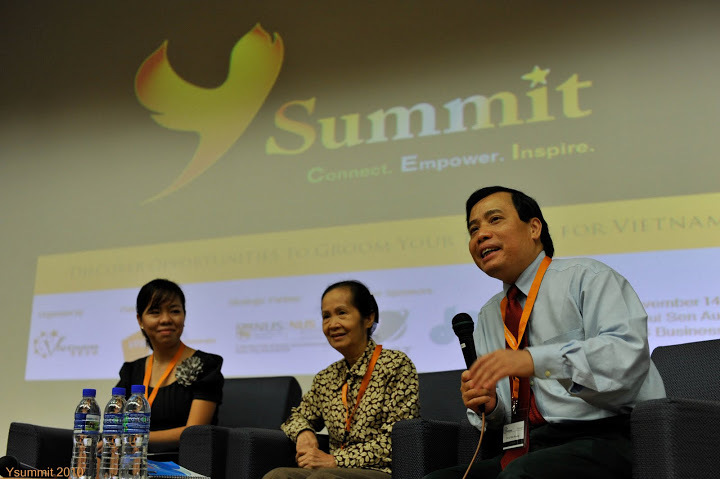 Ysummit is the very first youth conference in Singapore aiming to connect, empower and inspire young Vietnamese students and professionals to take the lead in the future waves of challenges. 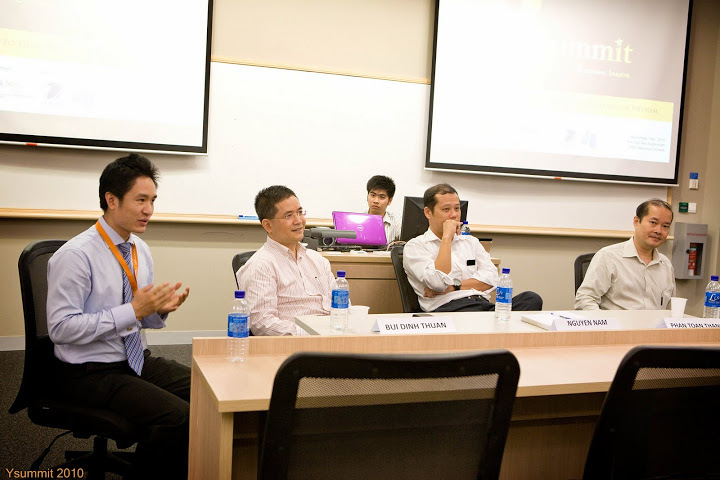 The summit serves as the starting point of a long-term plan, with a vision of building a platform (Yplatform) where Vietnamese youths can find mutual voices and seek support to realize their ideas, and creating a powerful network of committed and empowered individuals who keep Vietnam close to their heart and wish to support her progress in different ways. 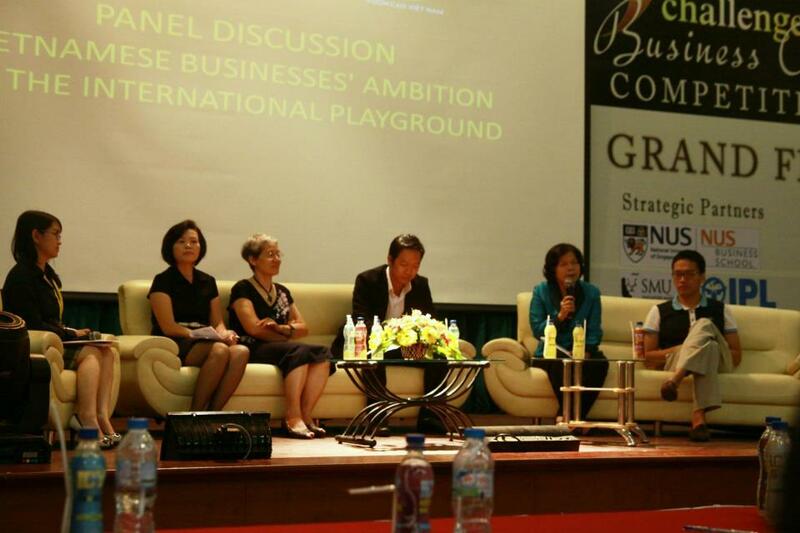 An insightful and engaging exchange of ideas and experiences from Vietnamese people from different walks of lives. A realization by each participant of different ways to align their personal development to the development of the country. The first step to a network of committed and empowered individuals which will serve as a platform (Yplatform) for its member to materialize their ideas. 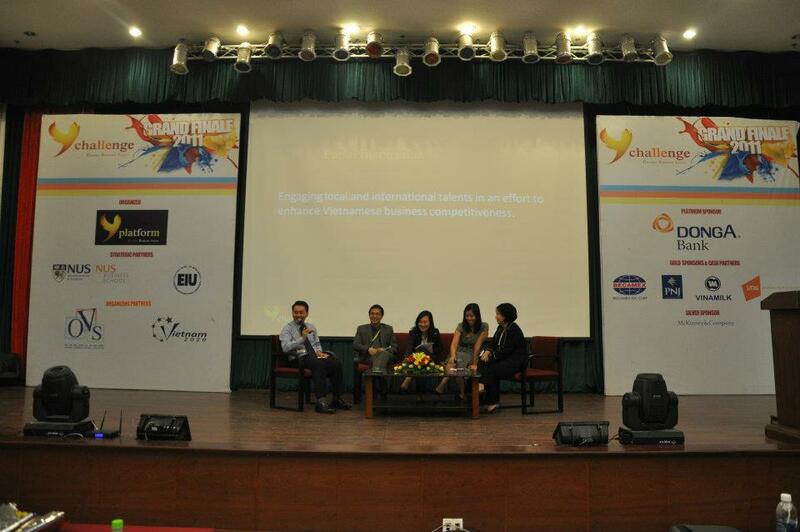 Our Ysummit has various topics to cater to different needs of people from all walks of life. We want to make sure that every participant can make the best out of this experience! Date & Time: Sunday, 14 November 2010, 9:00am – 6:00pm. Platinum Sponsor Speech from VNG Corporation. 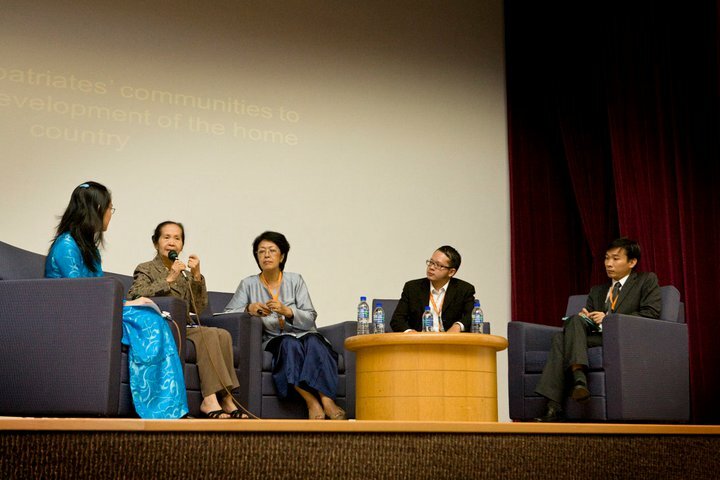 10:00 – 11:15 Keynote Discussion 1 (in Vietnamese)The role Youth can play in the development of Vietnam. Past inspirational moves and future opportunities.